Well there were so many fine entries that it was hard to pick a winner. But Iulia and Natasha settled on these two as winners. 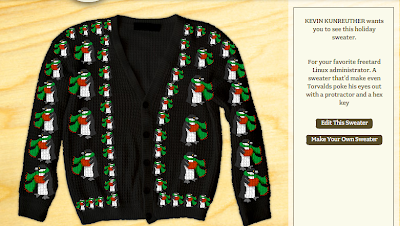 The penguin one is pitched as a perfect gift for any freetards on your list. 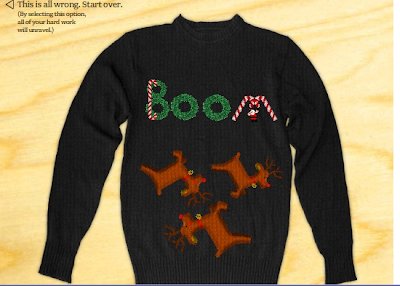 Boom sweater is perfect for the rest of us. Much love to all who participated. Winners, send in your address and we’ll mail out your signed book. » 2009 Darwin Awards winners!